Remember how in we got a lot of rain in the fall of 2012? 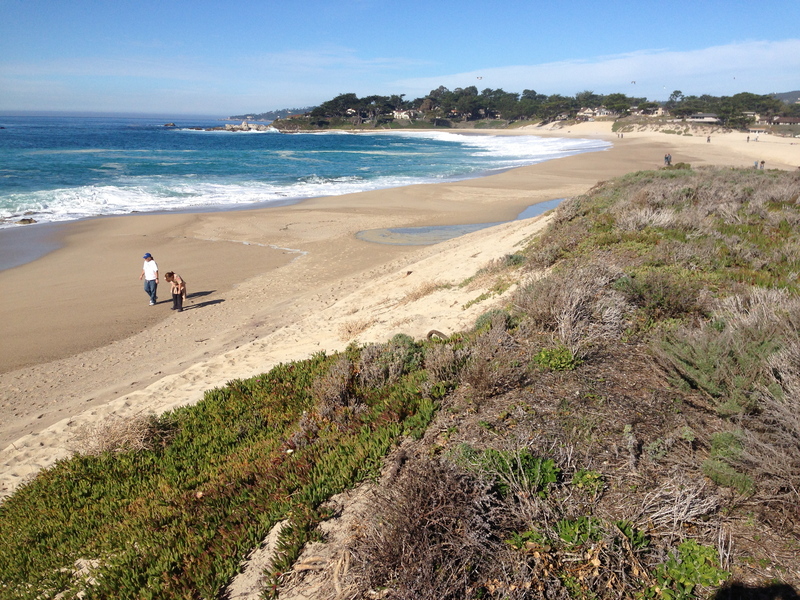 Monterey logged 9.59 inches for November and December that year. The average for those two months is only 5.41 inches. Then along came 2013, otherwise known as our driest year ever. January 2013 produced just .87 inches of rain in Monterey. Average January rainfall for Monterey is 4.20 inches. Actually, the entire year fell short of the January average. 2013 rainfall topped out at just 4.13 inches; less than half the rainfall of Monterey’s previous record dry year (1953 with 8.95 inches). While 2014 also started pretty dry, it ended in a very 2012-like fashion. Rainfall for November and December totaled 11.15 inches in Monterey; more than twice the average rainfall for those two months. While it’s far too early to have any idea what kind of rain we’ll get in 2015, we’re now half way through January with absolutely no rain at all and none forecast before the end of the month. It’s quite uncomfortably reminiscent of 2013. So let’s hope this January is just an aberration in what otherwise will be a wet year. After all, Januarys do seem to be getting increasingly dry. Monterey hasn’t had a January with above-average rainfall since 2010, when 6.54 inches fell. Since then, even though the 2011, 2012 and 2014 calendar years had above average rainfall, we haven’t had a January where rainfall reached even half of the normal 4.20. In fact, we’ve had four years of steadily declining January rains; 1.95 inches in 2011, 1.86 inches in 2012, .87 inches in 2013, and .04 inches in 2014. So if we finish this month with little to no rain, which now seems likely, it will be our fifth straight dry January. It’s almost like we now have two rainy seasons, one around December and the other around March, with a big dry January hole in the middle. 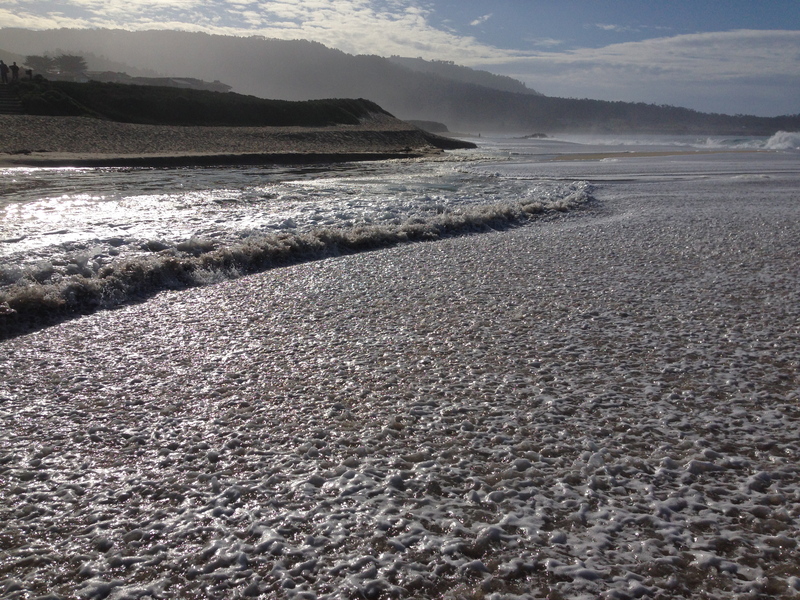 Waves stream across the newly rebuilt sandbar and refill the lagoon. Fortunately, the bar was still low enough that it breached on it’s own before any flooding occurred. Cantharellus californicus, the California Golden Chanterelle. 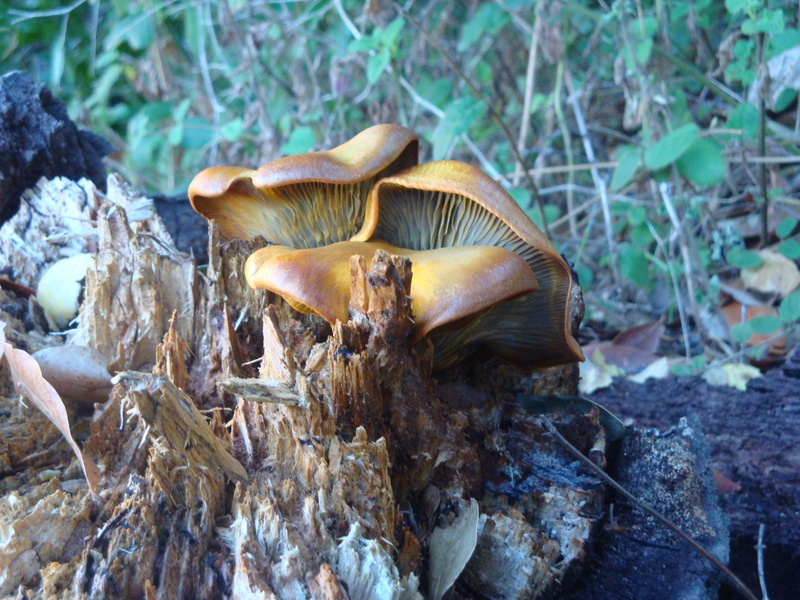 Heavy fall rains got mushroom season off to a good start, but once again a dry January is bringing the season to an untimely end. Omphalotus olivascens, Jack-O-Lantern Mushrooms, are NOT CHANTERELLES and will make you SICK. If you don’t know the difference, and it’s remarkable how many people looking for chanterelles in Big Sur don’t, leave the chanterelle picking to someone who does. 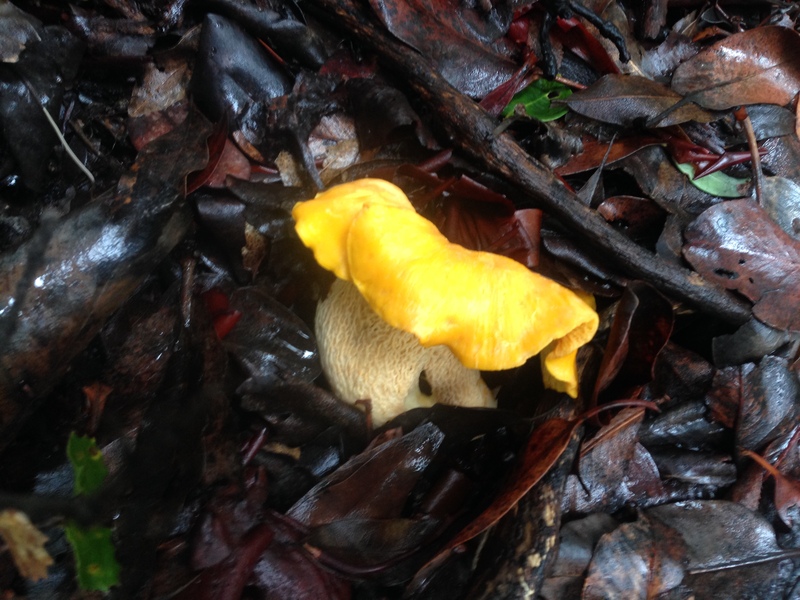 There are lots of other vaguely chanterelle-shaped yellowish mushrooms out there, as well. Who knows what will happen if you eat them? Don’t find out. Know what you’re doing before you forage for the table. This entry was posted on Friday, January 16th, 2015 at 3:38 pm and is filed under Big Sur, Carmel River, Fire, Flood & Apocalypse, Fungus, Water. You can follow any responses to this entry through the RSS 2.0 feed. You can leave a response, or trackback from your own site.